The following graph provides an excellent visual of the year to date performance of most assets around the world. 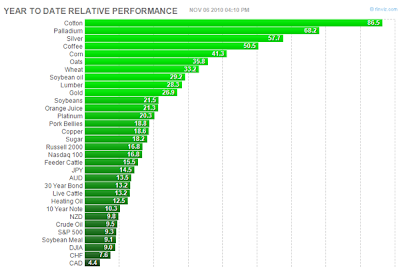 You can see the dominance of commodities over other assets (such as the DOW third from bottom). Cotton has led the way, which means if you have some clothing shopping to do it may be a good time to take advantage of lower prices.